My contribution for day 4 of The Daily Marker Pop-up Challenge and I actually managed to complete all four days of the challenge — not on the right days, but still, I did it. Once again I raided my colouring stash to find an image that would work with Kathy’s chosen technique for the day. The image was stamped and coloured with pencils some time ago and has been lurking in my stash box waiting to be used. As all the leaves and petals are quite small, I wasn’t sure how well it would work with Kathy’s eyelash lines technique, but it was the most appropriate image I had. 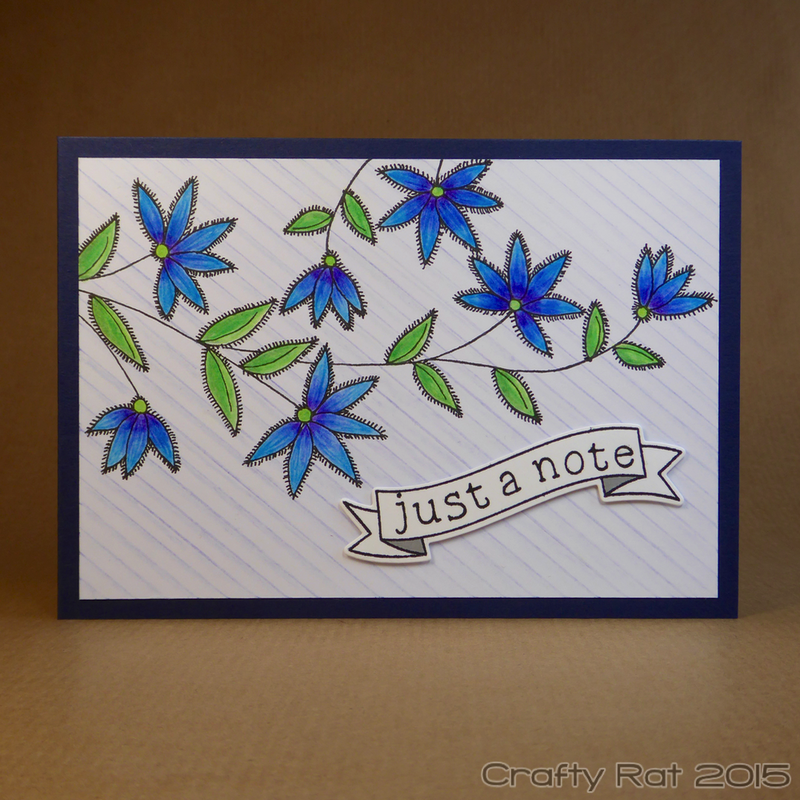 I drew eyelash lines around each of the leaves and flowers, but left the stems bare. I was happy with the result, but felt like it needed something more, so I added some diagonal lines drawn with pencil over the background. The banner was stamped in Versafine and the message built up using a Lawn Fawn alphabet set. It was mounted using some thin foam tape and the whole panel was glued flat to the card base.